I’ve suffered quite badly with wind over the last week. Fortunately for Sally and the dogs not the type of wind that involves a furtive spray up and down the boat with an air freshener. Real wind, the sort of wind that encourages full time boater to stay on mooring rather than cruise. It’s been a very windy week. On Wednesday night we had gusts of 40mph. Both Sally and I had trouble sleeping. The starboard rear fender hangs close to our bed. In addition to the howling wind, we had the pleasure of the rhythmic squeak of rubber fender on wooden jetty as the boat bobbed on the marina waves. The following day I had to move several boats around the marina. Calcutt Boats’ Meadows marina is windy at the best of times, but boating on Thursday was a real challenge. Taking boats off their moorings and moving them to the relative calm behind the workshops wasn’t too much of a problem, but returning them to their berths was a real test of nerve. It’s essential when steering a narrowboat to use the wind rather than fight against it. Because of its flat bottom, a narrowboat doesn’t hold a line, it skates across the surface at the whim of anything more than a gentle breeze. To maintain any kind of control it’s necessary to steer into the wind to slow the boat down rather than with the wind and reduce your ability to stop effectively. Because the moorings that I needed to get on had the stiff breeze blowing from the port side, I had allow for the wind and steer the boat, with a considerable amount of throttle, towards the rear of the boat on the adjacent mooring and hope that the wind didn’t drop at the wrong moment. Fortunately the wind blew the bow around until, just at the right moment, it was pointing directly into the boat’s own berth. No bumps, no scrapes, and no need to change my underwear. As you know, a couple of weeks ago I had my laptop hacked and, among many other problems, my bank account compromised. The account was closed immediately, funds transferred to a new account and a new debit card was sent to me in the post. Unfortunately for me, the bank doesn’t appear to have enough fields in whatever application they use to record addresses. When my new card hadn’t arrived after a week I phoned their call centre to discover that the bank had sent my card to an incomplete address. I corrected the address for them, or rather, told them which parts of the address they already had would need displaying on the envelope to stand a chance of reaching me. They promised to send me another card. The new card arrived yesterday. It didn’t work. I called the bank to ask why. They told me that the first card had been returned to them marked “Address Unknown”. Consequently, they blocked my account “in case the card was interfered with in the post”. They now have to issue a third card, hopefully to the right address, which won’t reach me before the end of next week. Oh the joys of modern banking! At enormous personal expense and after months of design, redesign and revisions, I have a new logo for the site. Actually, the whole process took less than a week and cost very little but I’m very pleased with the result. I gave the designer a blank canvas to work with. I told her that I wanted the logo to look professional but informal, both striking and relaxing and to reflect the rural aspect of narrowboat life. Do you think she’s cracked it? Do you like the logo? Please take under a minute to let me know. Before you go to the survey, please look at the logo at the top of the page. Is it too large, too small or just right? “I cycled up the grand union today from the village I live in to Leighton Buzzard. On the way back I saw an old chap painting his boat and stopped to talk with him. What he said was very interesting. I can’t recall where you are based (Midlands ? 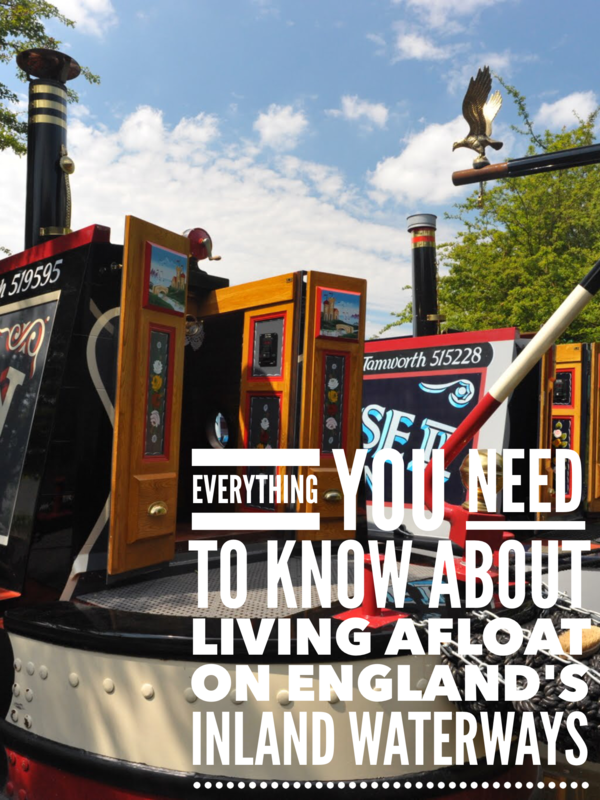 ), but the world of narrowboating in the south is changing and, it appears, becoming a bit of a nightmare unless you can find yourself a proper residential / long term mooring… and that is becoming a very expensive option. He said that the amount of people on narrowboats now mooring up on the towpath is causing problems.He knows of at least 3 people who work in the city and earn mega bucks but are living on a narrowboat as it’s cheaper than in the city, but whom have little real interest in canal way of life. He went on to say that, because of this growing influx of people mooring up on the towpaths, the people with money enough to have their boats in southern based marinas, costing them a pretty penny, have caused a stink with the CRT as they dislike the idea of them paying big fees when people are mooring up at random along the towpaths. To combat this the Trust now have inspectors on bikes.They no longer do the old two week check; they are out every 4 days in teams cycling the towpaths and keeping tabs on who’s where and moving people on. You then have to move several miles and you are not allowed back for a couple of months to that spot and you have to move every two weeks. If you don’t move, they will fine you £25 per day and then if you still fail to move they can seize your boat and auction it off. All a tad scary and I guess the need to ensure you have proper residential moorings is now even more important than ever. The problem with that is that there just aren’t enough proper moorings and when they do become available, there is this auction system here (which I mentioned previously) where people bid for a place and the price gets silly. The last one I witnessed ended up more than my flat rental for the year! I’d love to live on a narrowboat, and to get involved in the way of life completely. I’m the kind of person who would get involved properly and help out with the canal and land etc, but I’d have to be balmy to pay more for a mooring alone, than my rent on quiet little two bed one up one down in a sleepy village. He also mentioned that where people used to have ‘end of garden’ mooring rights, since the Trust took over, they are now making them pay 50% of the standard fees. In fact he works for a farmer who owns fields along the canal. The farmer offered him free mooring on his field side (even though there is no water, electricity or path) but the CRT said no and wanted to charge him £1000 for the right. I speak to many boaters either through this site or when they pull into Calcutt for services. The Trust appear to be tightening up on their mooring policy throughout the network. I want the information I share with you to be 100% accurate though so next week I hope to speak to the Trust’s head of boating . You’ve probably heard about River Canal Rescue or RCR as they’re more often known. They’re the inland waterways’ equivalent of the AA/RAC. With my limited practical skills and with a narrowboat engine which is far from standard, membership is essential. I asked them to carry out a service on my Mercedes OM 636. I don’t know when it was last serviced properly but it’s been many years. My boat, James, came to Calcutt Boats in 1997 after being lovingly maintained and used for twenty years by the London based Illiffe family. After reaching Calcutt, James was rarely used or serviced. I moved onto James in 2010 and treated the boat as a floating house. As finances allowed I slowly improved the boat . I want to do some proper cruising this year. I understand that my engine is a very good engine but it is thirty six years old and hasn’t been well looked after for the latter part of its long life. It needs some TLC. One of RCR’s longest serving engineers, Kerry, arrived last Wednesday at 10.30am to carry out the service. From the moment I met him I was confident that he knew his stuff. He couldn’t have been more helpful, even though there was a considerable amount of quiet swearing when he tried to remove the very badly positioned fuel filter. The expected hour long service actually took Kerry three and a half hours. He was very helpful throughout and explained some basic engine maintenance that I wasn’t even aware of. In addition to being a slightly unusual engine, my Mercedes is also raw water cooled. This means that the engine, rather than using its own water as a coolant, draws water from the canal or river. The water passes through a weed trap before continuing to the engine. I didn’t know the boat had a weed trap, let alone the need to clear it out on a daily basis when cruising! Kerry also identified several areas where I need to have remedial work carried out. I had been experiencing problems with the engine dropping in and out of drive. I knew that this is a symptom of having low or no oil in the gearbox. I’d had the gearbox oil topped up a few weeks previously but I still had the same problem afterwards. I thought I was going to have to get the PRM gearbox refurbished at great expense. Kerry identified that one of the two gearbox cooler pipes had perished and that the gearbox oil was bubbling out through it when the engine was on. I needed one or both of the cooler pipes changing, and not the gearbox. What a relief. He found an injector pipe with a minor leak and strongly suggested that the engine’s fuel lines were rerouted. They currently run under the engine and under the engine room ballast. It’s not a good place to route delicate copper fuel pipes. The rerouted fuel pipes would also allow a pre-filter to be fitted somewhere more accessible than the current position where it is almost impossible to change even for an experienced engineer. Kerry’s summary of my engine was very reassuring. With just over 4,000 hours on the clock – an average of just 111 hours a year over the last 36 years – my Mercedes is still a baby. It’s good for 20,000 hours so there’s a lot of life left in it yet. At £145 for the service, which included an additional £15 for genuine parts, I think I received real value for money. For many of you, the opportunity to spend hours tinkering with your engine will please you no end. For me, with very little aptitude in that direction, RCR’s assistance was invaluable.